Fast-food companies make a lot of claims about their food -- but Wendy's wants its customers to know that they're not fooling them when they say their beef is never frozen. One non-believer was so shamed by the chain (and its fans) that it forced them to delete their account. 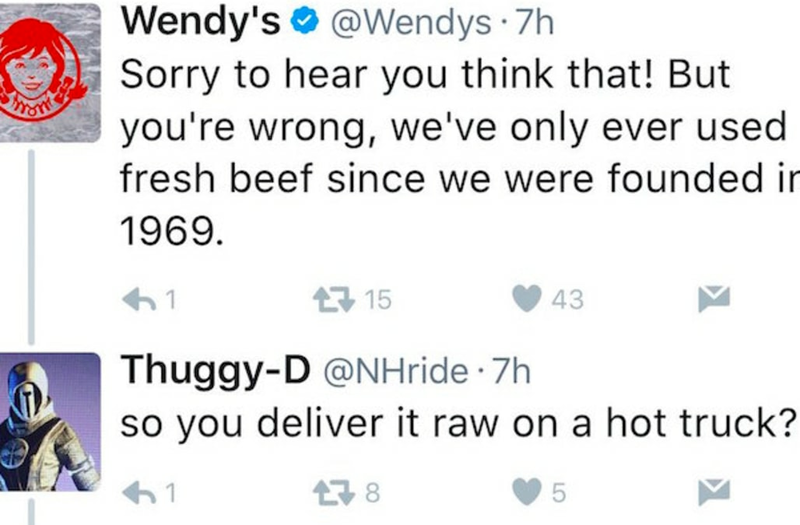 @NHRide (or "Thuggy-D") claimed that Wendy's beef was not fresh as they say. 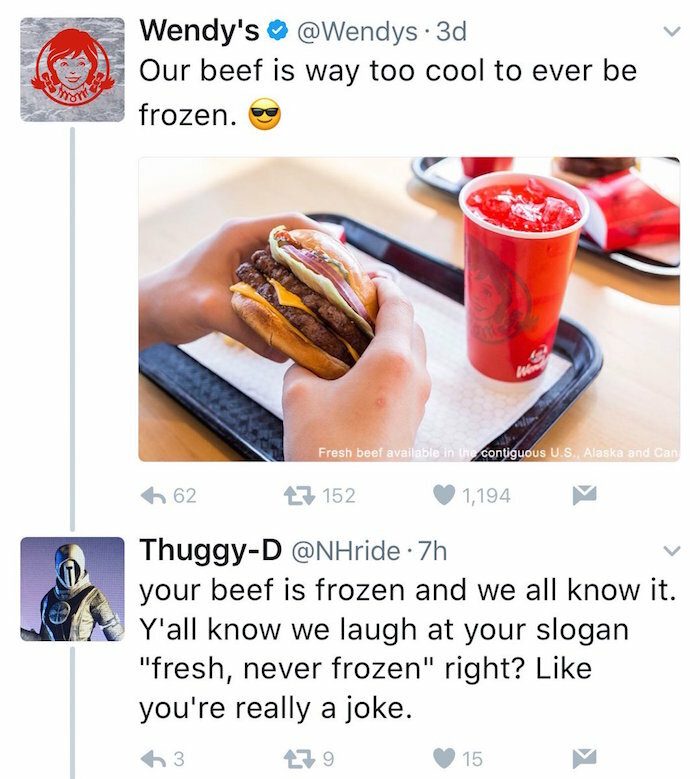 Wendy's insists their beef is not frozen -- and never was since the restaurant opened. 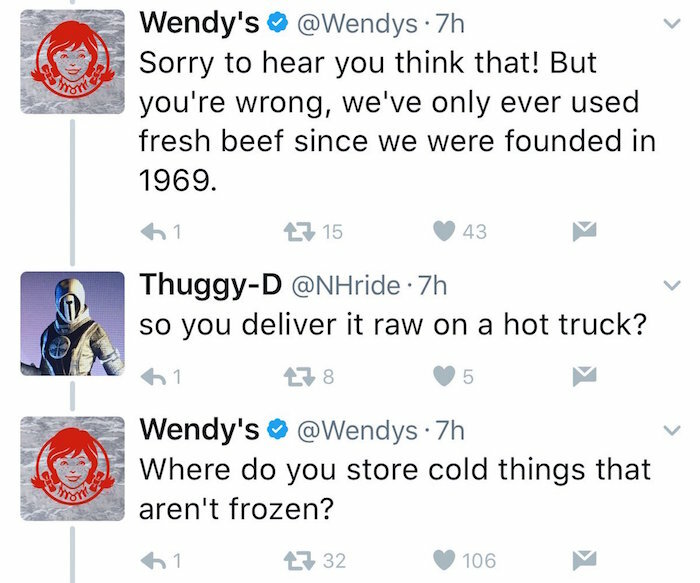 Thuggy-D then asks if their beef is raw on trucks -- and said McDonalds was better. 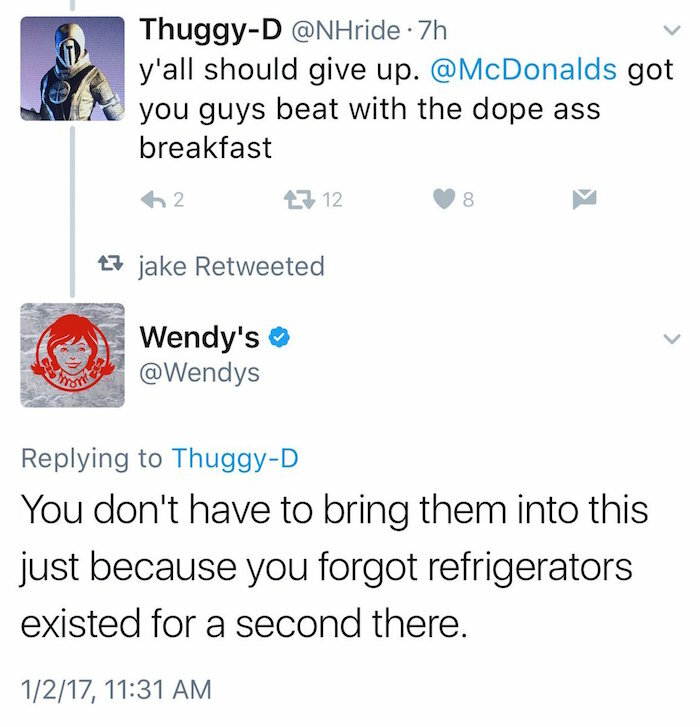 Wendy's ends the conversation with a great comeback: "You don't have to bring them into this just because you forgot refrigerators existed for a second there." The tweet went viral, getting thousands of likes and retweets. Thuggy-D was so embarrassed that he was compelled to delete his account.